Wow, has it been that long?Oh well, I'm not going to worry about it. LOL. 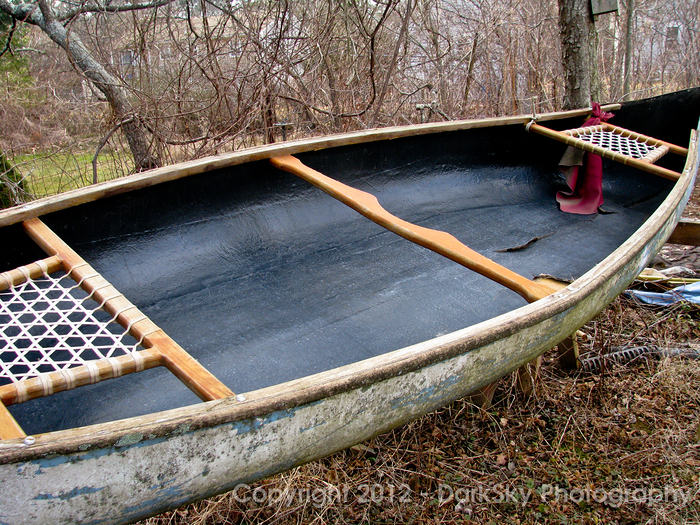 Well, one of the obsessions these days is the restoration of my canoe. I had posted about it in another blog a loooong time ago. The I had put it off and put it off and then decided to have someone do it for me. But now I've decided that i can do it myself. And I am determined, but will probably need advice along the way...maybe not, but right now I have a couple questions. After the canoe, I have a small (8') boat to fix up. More on that at another time. Another obsession has been getting the greenhouse set up to start some plants. It may be a little early to start them yet, as it isn't heated right now. I started a small amount of marigold seeds as a test and it would probably be ok to grow some spinach and other cold weather crops from to start to finish in there. I hope to have a large veggie garden this summer but there are a lot of "only-if"s" and "maybes" connected to that. I think that probably in my physical condition I won't be able to do it all by myself. But we'll see. I know part of my condition may improve as a result of the hard work and nutritious food, so it will be worth a try anyway. More obsessions will be good subjects for future blogs...there are enough of them to keep me typing for quite awhile. Nice wood work on the canoe!